The authors translate how to interpret common behaviors of people with autism for law enforcement personnel, first responders, emergency workers, retail security & others. This book explains what to look for and how to successfully handle encounters with people who have autism. It takes emergency responders, retailers and parents through everyday situations, stressing safety and awareness. 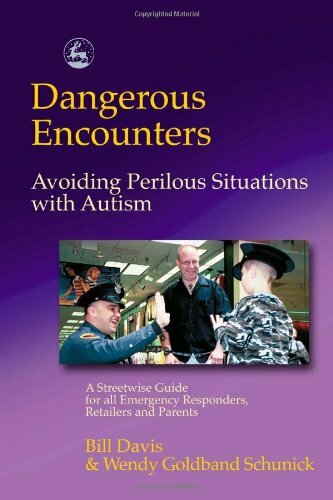 The authors explain the steps everyone can take to avoid difficult and dangerous situations with people with autism, and more general guidelines.